DANI KAGAN & VICTORIA MARSHMAN — YOU GOT THIS, GIRL! We have TWO very special women to share with you today. We are so honored to have both Dani Kagan and Victoria Marshman as our #FEMMEFEATUREFRIDAY this week! 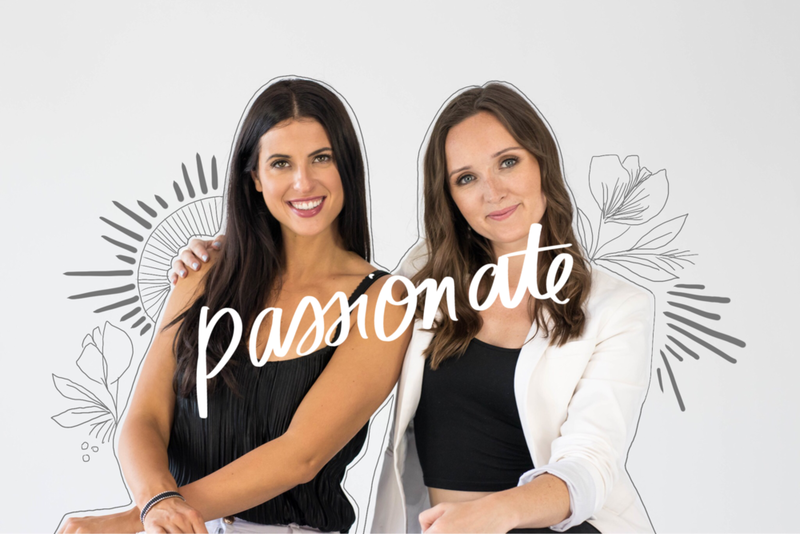 Dani and Victoria are passionate and motivated entrepreneurs, event planners, dance teachers and fashion enthusiasts. We truly admire how these ladies have set themselves apart. They have learned to value their own opinions of themselves before anything else and have found their path by steering clear of seeking outside validation. Most importantly, they recognize the importance of letting things go. They encourage us to evaluate what really serves our growth and to be brave enough to walk away from anything that may be holding us back. Not only are these two incredible women best friends, they are also business partners for two different organizations. Along with Jessica Domingo, they founded Stratus Events Inc., a Toronto based event planning, public relations and social media company. Together, these innovators have had the privilege of working with brands and companies such as Roots Canada, Toronto Fashion Week, The Canadian Arts & Fashion Awards (CAFA), Sunnybrook Hospital, WE Day, Cadillac and many more. They are also two of the four co-founders of the annual charity event City MOGULS (which is coming up November 7)! City MOGULS is a unique event that features Toronto's most innovative and newsworthy entrepreneurs and influencers in an unforgettable fashion show for charity. Their mission is to empower young Torontonians to get together for a cause. The goal of the event is to educate young adults about the charities they support and bring awareness to the cause. City MOGULS aims to inspire young professionals through the work of our featured MOGULS. The evening celebrates how the MOGULS got their start, why they are successful and what drives their passion, all in the spirit and love for fashion and philanthropy. Talk about inspiring! We absolutely LOVE how supportive these women are, not only of each other but of their communities. Dani and Victoria beautifully embody what it takes to be a leader. They think and dream big all while demonstrating relentless determination to empower other women to do the same. They remind us how connected we are as women and the accountability we must strive for in creating a more equal world for future generations of girls. So, what’s the best piece of advice from these change-makers? Don’t sleep on your dreams, get out of your head and get your ideas out into the world! Thank you Dani and Victoria for showing us how create our own opportunities and how to take the reins on our own lives. First and foremost, we feel like this is the most incredible time to be a woman. Throughout the ages, feminists have worked VERY hard for the right to vote, to become CEOs, to have careers of their own, and to be looked upon as equals. One of our favorite things about being a woman in today’s day and age is that we have the opportunity to do and be anything we want. We are so grateful to the strong women of the past that fought for their rights, so that we don’t need to think twice about starting our own biz (which we recently did), to speak our minds, and write about what we want. What’s the important lesson you learned from pursuing your passions? One of the most important lessons we have learned over the years is to not wait. Life is too short to overthink, re-think and push the pause button on pursuing your passions. If you just keep moving forward, keep learning from your mistakes (which you WILL make) and don’t look back – you really have nothing to lose. Why is it important for women to support one another, and why is it especially significant in today’s society? Women are finally learning that we all have similar struggles and we forget about all the hard work feminists have done (and are still doing) to ensure we have equal opportunities. If we don’t support each other, especially today when we do have the option of becoming whoever we want to be, then what was it all for? Empowering each other will only push women as a whole further. If you could go back in time and give your 10-year-old self some advice, what would you say to her? ● Stop caring about what other people think of you. It’s a waste of your energy. ● Surround yourself with people who lift you up. Negative energy is contagious and toxic. Letting go of friends is hard but if they aren’t supporting you and you feel like you can’t support them because of their negativity, just let them go. ● Always make time for the people in your life who you care for, and care for you. Life is too short to just work all the time and not spend time with your family and friends! The whole YGTGirl brand is really about reminding women from all backgrounds and walks of life to simply empower each other. A YGTGirl is a reminder to women to take action, and never be held back by fear. When we support each other, we really can do anything!